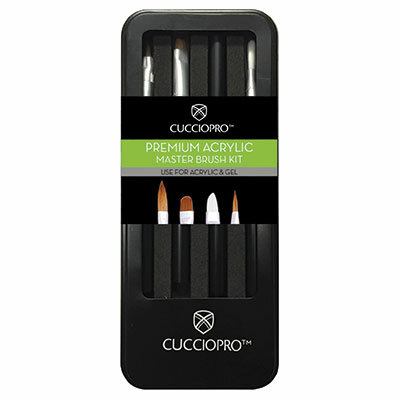 This kit contains the essential acrylic brushes needed to perform any acrylic service! Can also be used for gel services. Includes: Oval Brush - Build acrylic nails and smile lines, 3D Nail Art Brush - Flat brush used for 3D nail art designs, Nylon Gel Brush - White nylon bristle brush designed to apply gel overlays, Square Brush - Nylon bristle clean up brush.